Doors will open 30minutes before the opening of the performance. Available from Sunday 5 October, 2008 at 10:00am. 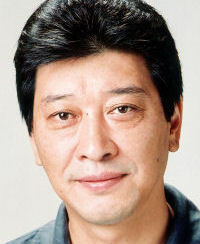 Since Uyama Hitoshi became the Artistic Director of Plays, one of the four pillars that he raised was to “revive the epics”. And this season’s theme is “theatre” and the series will involve theatrical tales and fiction. As the third installment Corneille’s “L'Illusion Comique” was chosen, he is regarded as one of the foremost French dramatists of the 17th century along with Racine, the play will be directed by Uyama himself. “L'Illusion Comique” is a revolutionary play that radically raised the status of comedies in society, as well as the status of theatrical plays themselves. In the open theatrical space of the Playhouse, NNTT actors Tsutsumi Shinichi, Danta Yasunori, and Akiyama Natsuko will be joined by Takada Seiko making her NNTT debut, as this great cast will make for a wonderful comedic performance.